Caesar’s Dē Bellō Gallicō: A Syntactically Parsed Reader is an innovative Latin reader presenting selections of Caesar’s Gallic wars texts. Its unique approach tackles the two most common problems a student reading unedited Latin faces: abundant vocabulary and a maze-like sentence structure. Breaking down the sentence structure of the texts and providing vocabulary glosses throughout, A Syntactically Parsed Reader ensures better comprehension and enables students to make an easier transition from using artificial and doctored Latin to working with the unaltered language found in authentic texts. Selected texts carefully chosen in line with the Advanced Placement Latin exam. 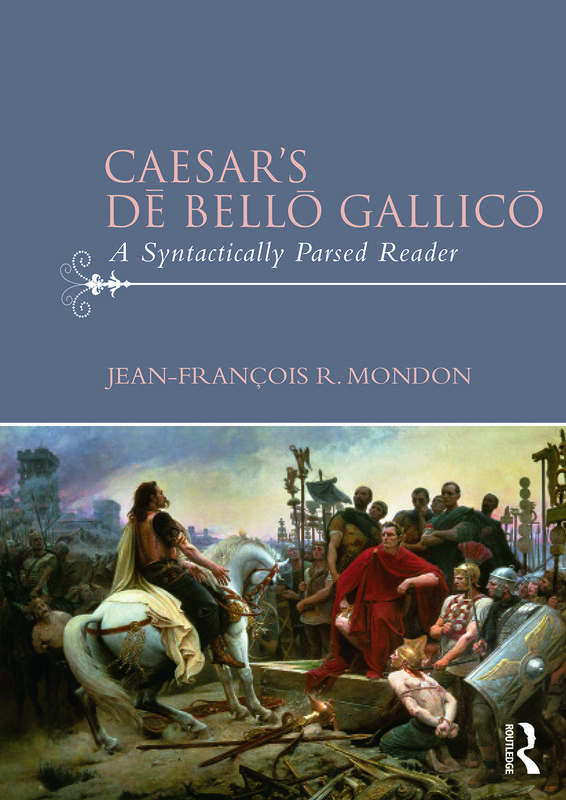 Caesar’s Dē Bellō Gallicō: A Syntactically Parsed Reader has been developed by an experienced university instructor. It is ideal for students seeking to improve their ability to read and understand Latin prose straight from the page. Jean-François R. Mondon is Assistant Professor of Foreign Languages at Minot State University, USA.